Are sales slow? Are your customers buying a single cheap item from your store and checking out? Does your store suffer from poor repeat business? Is your pricing strategy out of whack? Even though you might offer great products and write excellent product descriptions for your goods, it’s not necessarily going to be enough to make your store a success. Besides having an attractive storefront, there are many other aspects to selling that have nothing to do with your products or your website. This article will explore the mental aspects of selling. Here are 5 tips that should help you improve your sales. Every customer that walks into your online store will have different objectives and price points, so it’s important to offer high end products as well as low end ones to cover the entire range of customers you may encounter. While the bulk of your sales will be concentrated at the low to middle end, the highest margin items will tend to be your higher priced items. And by offering different price points in your shop, you can play some fun psychological pricing games. For example, let’s say you wanted to encourage customers to purchase Item A from your store because that product nets you the highest margins. If you were to price Item A similarly with the rest of the items in Item A’s category, then Item A would simply not stand out. However, if you were to price the rest of your items extremely high and place them next to Item A in your shopping cart, then Item A would be perceived as an absolute bargain. To put this into perspective, let’s add a few numbers to the mix. Let’s say you were selling shirts and the shirts you wanted to move were 50 dollars. By selling this shirt (with a sale sign) alongside other shirts that cost 80, 90, and even 100 dollars, customers would immediately perceive the 50 dollar shirt as a fantastic deal. 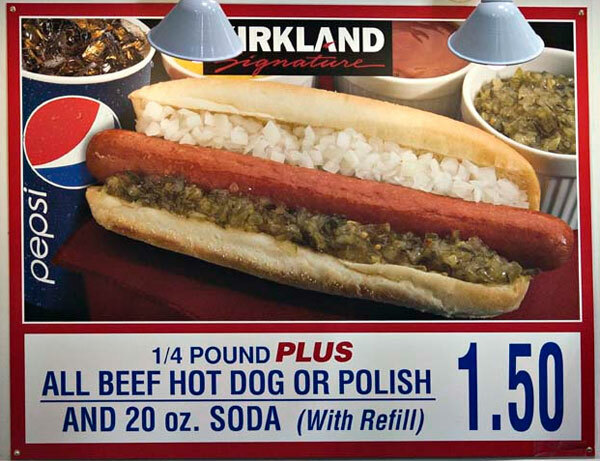 Inexpensive and cheap are all relative terms. Make sure your “relative” prices are on the high end and you will net a higher profit. The best part is that you can assume ahead of time that the 100 dollar shirts aren’t going to sell very well so you don’t have to stock very many of them. The 100 dollars shirts exist only to sell your main cash crops. In our store, we put this principle into practice by offering higher priced linens to anchor and bolster the price of our bestsellers which has the effect of increasing our average order revenue. While you’ll always encounter customers who will buy your cheap sale item and leave, you’ll find that the majority of people will buy additional items along the way. The trick here is to entice the customer into your store with an attractively priced product and then convince them to spend the extra money that they saved on something else in your store. This tactic works very well. In our shop, we have at least 1 item in every product category that is priced to move. 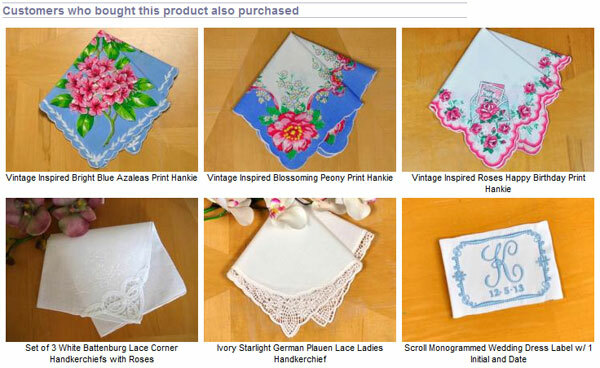 For example, in our linen napkin category we offer our cocktail napkins at a really low price. And over the years, this low price has attracted many event and wedding planners to shop at our online store just for those cocktail napkins. But since it’s much easier for an event planner to get all of their napkins from the same vendor, they often order our higher priced linen dinner napkins too. Retail shops like Walmart and Target use this tactic all the time to simply get you in the door. How many times have you walked into Target intending to purchase just 1 item but then leave with a whole cart full? This happens to us all the time! After you’ve been running your online store for a while, you’ll start to notice that your average order size will fall within a certain, consistent range. And when we first launched our online store, our average revenue per customer was in the low 30’s. But over the years, we’ve managed to increase this number well into the 50’s with 2 small, easy to implement tricks. First off, we started bundling our products together to force customers to buy more. And second, we set a free shipping threshold in our shopping cart. By setting a threshold with which the savings start to kick in, customers are encouraged to buy more than they were planning to buy. Try and set this free shipping or discount threshold at a price that is a small percentage(15-20%) over your current average order size and see what happens. For example, if your average order size is 50 dollars, set this threshold at 60 dollars. Often times, a customer will add one more item to their cart to break the savings barrier. Most of your customers will not take the time to browse your entire store. That is why you need to “browse” the store for them by displaying related items alongside the ones that they are already purchasing. A quick and easy algorithm to implement on your shop is to simply display items that match items that other customers in the past have purchased with a particular product. You can also further entice your customers by offering special discounts if certain items are purchased together. I see Amazon use this tactic all the time and I always fall for it. For example, just the other day when I went to purchase my 4 drive NAS, Amazon recommended hard drives to go with it that I immediately snatched up. Cross sells and upsells work amazingly well. I see stores like the Gap and Old Navy do this all the time. They give out coupons that are only active 2 weeks into the future. This encourages people to come back at a set time in the future to purchase additional items. Setting the discount date in the future gives you time to plan out your pricing strategies for your future sales. For example, you might choose to temporarily raise the prices of your best sellers during the sale while leaving the prices of the products you want to dump at the same prices. While we’re not a big fan of giving out coupons in general, using this tactic along with a well timed and targeted email on the day of sale will drive customers to your shop for a quick payout! The key benefit of all of these strategies is that the customer will feel like they got a great deal and your profits will increase at the same time. 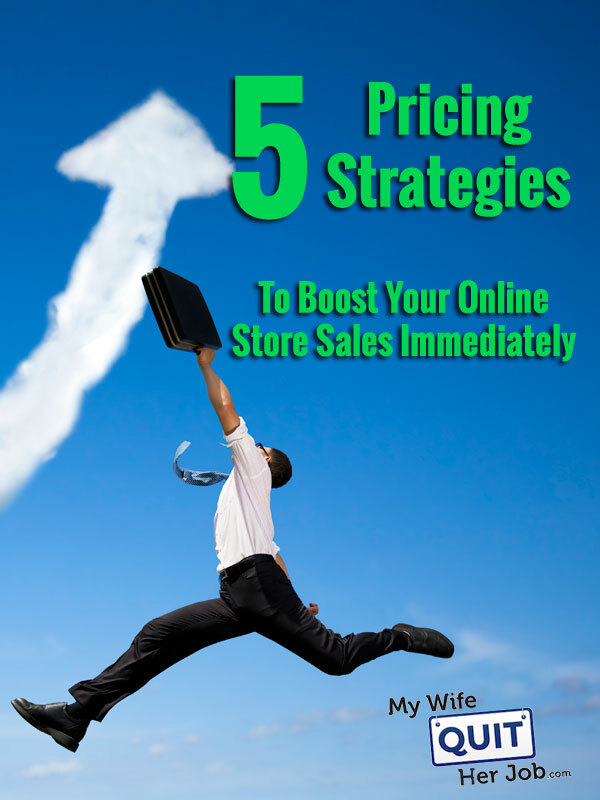 The best part is that all of these tactics are super easy to implement and will improve your sales immediately. Give them a try and let me know how they work out for you. For our online store, it’s been a win win situation. I love the section on “Offer Products at a Range of Prices” – a brilliant but simple idea. Thank you so much for all your articles. I’m just starting out and am feeling scared because I know nothing and don’t even know where to start. Your articles have helped me gain some footing, so I don’t need to reinvent the wheel. Thank you so much!!! Thanks for the info, I to ask a question like I am running a Job Portal. Now what should I do on my website so that employer will buy paid subscription or buy resume. Apart from this students can also view study material (free), so is this a good idea to make the study material paid. Running a job portal is very tough now, I checked your portal and found very intresting, I have a suggestion for you to add indeed widget. This will increase your revenue. I agree with author, but you should be careful about coupons. The best way to do is trying give out a coupons ONLY if customer NOT going to buy smth WITHOUT a coupons. You can easily understand this using come tracking behavior tool. That’s really a great piece of Advice. We will love to share this information at our social channels. I am currently working on a e-store with web design template and GREAT quality PLR articles to be sold and these tips will clearly help me a lot. I have bookmarked the article and will look over it again in few weeks to help me boost my sales. Good tips. But I think the best way to boost your sales is to establish your presence in the online community. Find ways how your brand can gain a good amount of exposure. And let the customers come to you. Infographics and videos are also doing well in terms of promoting and increasing online sales. You have covered great points to let people know about all possible possibilities to increase sales. We in our organization tried with Images and videos and we have got good results. We will surely follow your tips as well and hopefully we will get more good results. Many thanks once again for sharing this information with us. Putting up an explainer video on your website can give you more sales. As instead of going through pages of content, your visitors can easily understand what you’re selling just by watching a video that talks about your business! Get your explainer video at clickcode media. Awesome suggestion for online shopping . thank you very much for share this article with us . it will be help !